It is now easier for median income earners to afford a place in New York, than it is for Toronto's median earners to afford housing in their own city, says a report from Demographia. The 11th Annual Demographia International Housing Affordability Survey, which was co-authored by smart growth critic Wendell Cox, ranks cities by median multiple, a measure that compares median incomes against median home prices. Using data from the third quarter of 2014, the latest survey gives Toronto a median multiple of 6.5, while New York scored 6.1. The score put Toronto squarely in Demographia's "Severely Unaffordable" range (a median multiple of 5.1 and over). The survey noted that Toronto's median multiple had jumped 65 per cent over 11 years, specifically saying that Hogtown's housing affordability has deteriorated under what it calls Ontario's "urban containment policy." Demographia's survey was cited in a Monday report by TD Economics, which found that Toronto's average rents represent half the income of the lower 40 per cent of earners. The report, by vice-president and deputy chief economist Derek Burleton and economist Diana Petramala, says that housing can be considered affordable when a household's living expenses doesn't exceed 30 per cent of its monthly pre-tax income. Toronto's housing affordability seems well beyond that threshold. But while the housing market has created affordability problems for Toronto's lower income earners, the issue has also "spilled over to residents in higher income levels and to those in homeownership," the report said. At 37 years old, the average age of a first-time homebuyer is a "new high," the report said, citing CMHC statistics. And those who want to move from condos into townhouses and single-family homes are also experiencing "significant sticker shock." People hoping to buy a single-family home with a 10 per cent down payment would need an "above-average" annual income of $140,000, TD Economics said. Factors hurting regional affordability include land costs and "restrictive government regulations" that have forced developments to take up to seven years to complete, meaning it's more difficult to provide a supply of affordable housing. Higher costs have also driven up debt loads and left people "vulnerable to any unanticipated economic shock." As far as solutions go, TD Economics has recommended that the GTA "start thinking like a region with respect to housing." It suggested that "more efforts be made to tie building permit approvals based on demographic need." The authors also lauded the provincial government's decision to allow wood-frame buildings for structures that have six or more floors. The report recommended that cheaper land be unlocked and made available for development. It floated the idea of tax incentives that would encourage owners to allow development on their properties. Meanwhile, Burleton told CBC News that affordability issues are being exacerbated by a lack of transit access to certain areas. "Transit is key," he told the network. "Transit system helps to direct residents to where land costs might be a little bit cheaper, for example. It's not so much about building along corridors as it is about building more transit corridors." The authors also want to see more support for low-income individuals through subsidies, which could come in the form of income support or a greater supply of lower-cost housing. 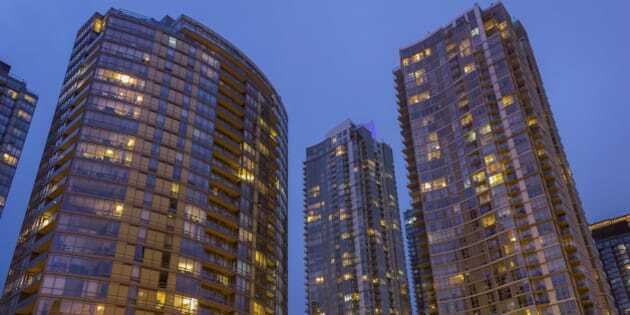 TD's report came about a month after a Canada Mortgage and Housing Study found that Toronto's condo supply was having difficulty meeting demand. Much of that had to do with Millennial renters who wanted to live near where they worked.